So I always hear that poaching fish is a good and easy way to cook it (ok not always hear, maybe like a few times). Of course when I looked it up, it didn’t seem that hard, and all in all I’d say that it isn’t. However, if I am going to be honest, while it looks pretty in the broth and all the veggies, I probably prefer to pan sear my fish and eat it slightly crispy. Not everything we make can always be freaking awesome you know? sometimes you strike out, and this doesn’t even qualify as striking out. There was a lot of good flavor in the broth, but I just felt that the fish was kind of bland and lacking. Maybe if I get venturous again I will give this one another shot in the future, but for now, here it is. If you change it up and it comes out tasting great, please let me know what you did differently. I would like hear! So I was at the local supermarket just browsing the produce section (that just sounds weird typing that) when I came upon a sale for brussel sprouts. This was not the first time I have seen such a sale, but this was the first time that I stopped at one. Trying to be healthier and more culinary adventurous, I decided to try my hand at them since it couldn’t be that hard right? But I knew that in order for them to be really good, I would have to combine it with bacon (obviously) so then I went to the meats section. For my first time making these, it turned out pretty good. 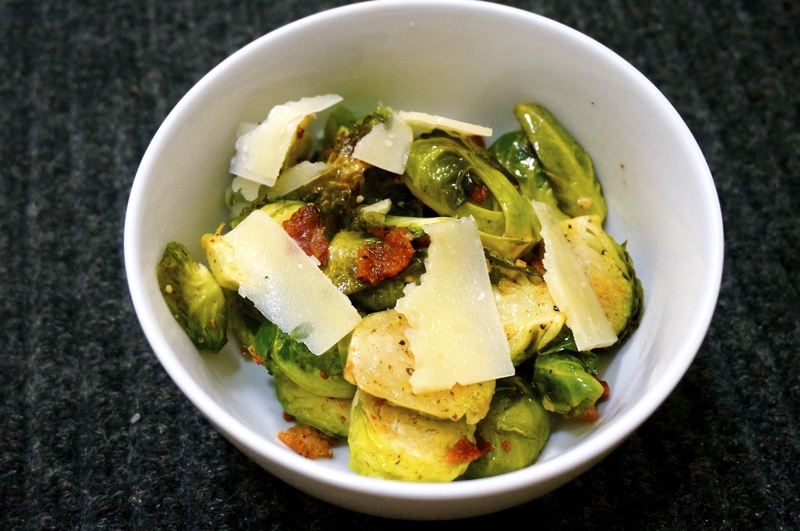 Definitely more enjoyable than I thought since Asian people don’t generally eat brussel sprouts I feel like. 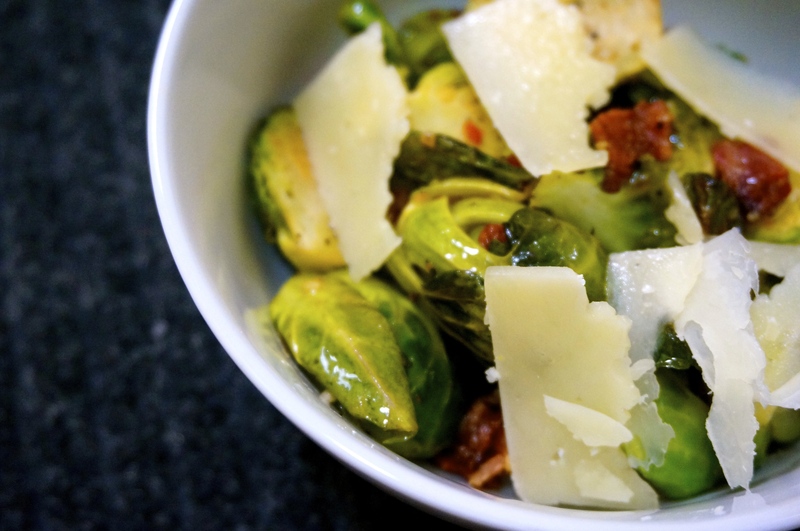 Shave a few slices of Parmesan on top and enjoy! The other day my sister randomly said she was going to make hummus. 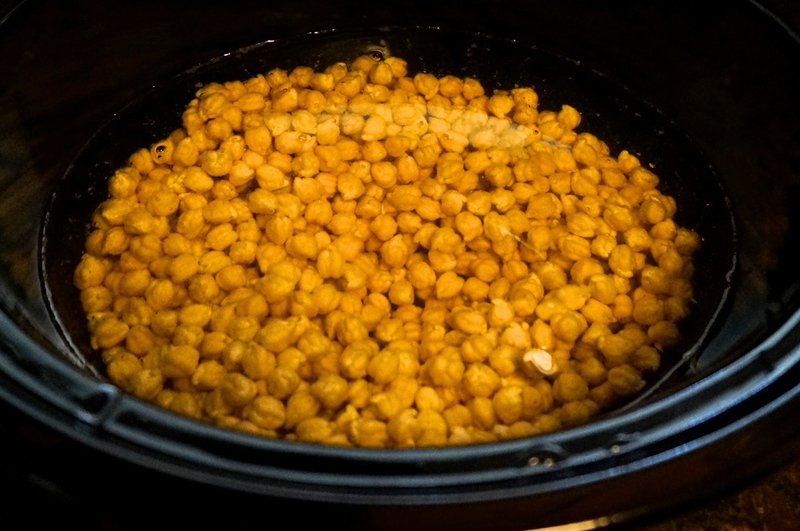 We all like hummus, but she has never made it before, and actually did not know that chick peas and garbanzo beans were the same thing until this whole process. She got the recipe from the Food Network and made one half a garlic hummus, with the other half being a roasted red pepper hummus. 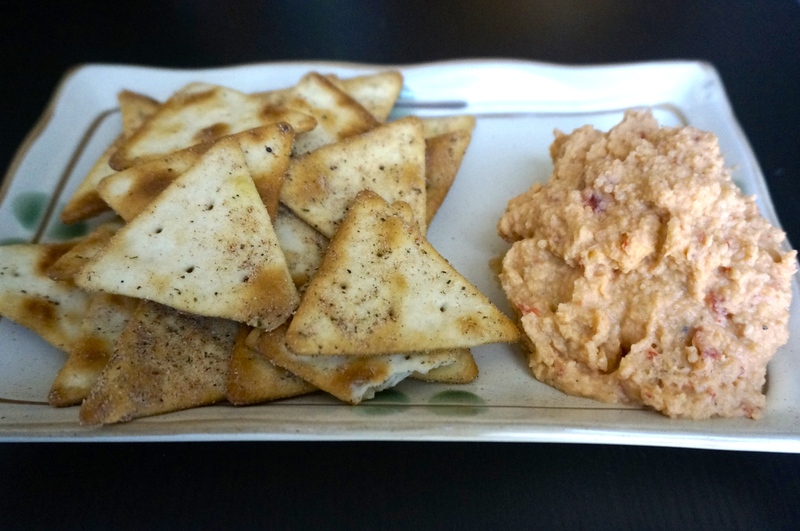 Overall, I liked the roasted red pepper hummus better because it had a stronger flavor. We actually went back and put more garlic in the other one to make a bolder flavor. Both were good though, and hummus is healthy right? If not, don’t tell me. Hope you enjoy too! I haven’t been doing my part in our joint blog so Nate coerced me in writing this one or else he wasn’t going to post anymore. 😛 Nate and I threw an intimate dinner and game night about a week ago so I’m deciding to share a small piece of what chef Nate had prepared. Today, I will be presenting a super easy quick recipe that is perfect for summer. 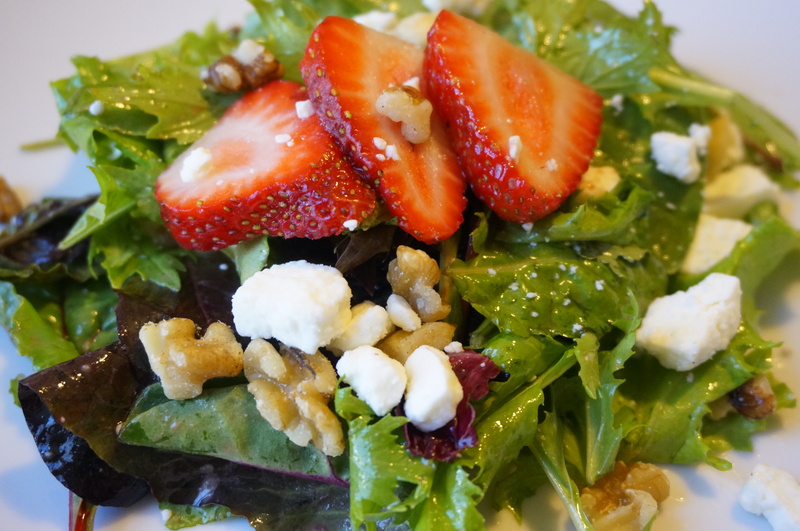 It’s a strawberry balsamic salad with feta cheese. I’ve actually been eating this salad for several days since it was so yummy (mostly because I can’t cook). 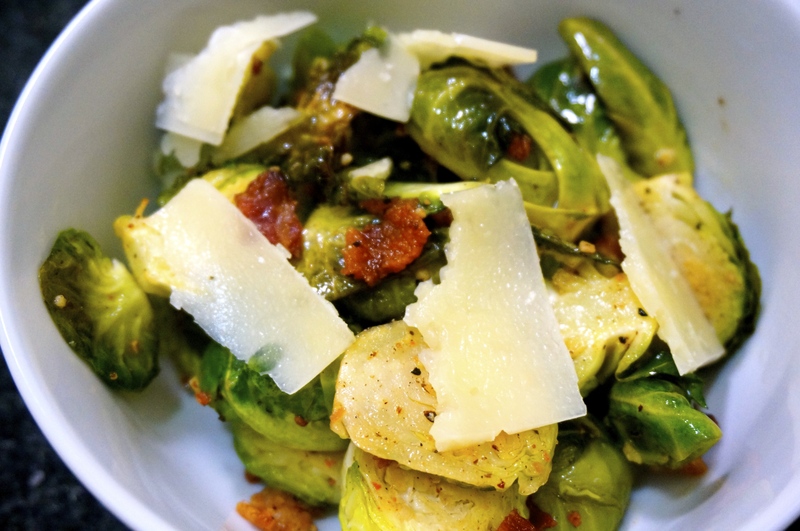 It’s really great for lunch or as an addition to a main course. To make the salad dressing, mix all the ingredients listed above in a small bowl. Cut the lemon and squeeze the juice into the dressing. Mix well. So I was at the market today and bone-in prime rib roasts were on sale. 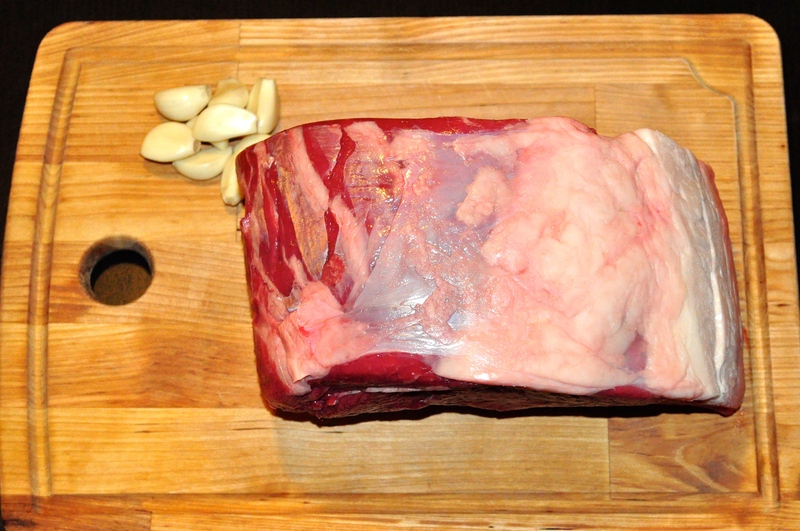 Now I love prime rib and haven’t had it in about five months, so I figured what the hell and I bought it. The one I bought was just under 5lbs, so I decided to invite my cousin and his wife to dinner as well. Family, wine, and prime rib made for a fun night. 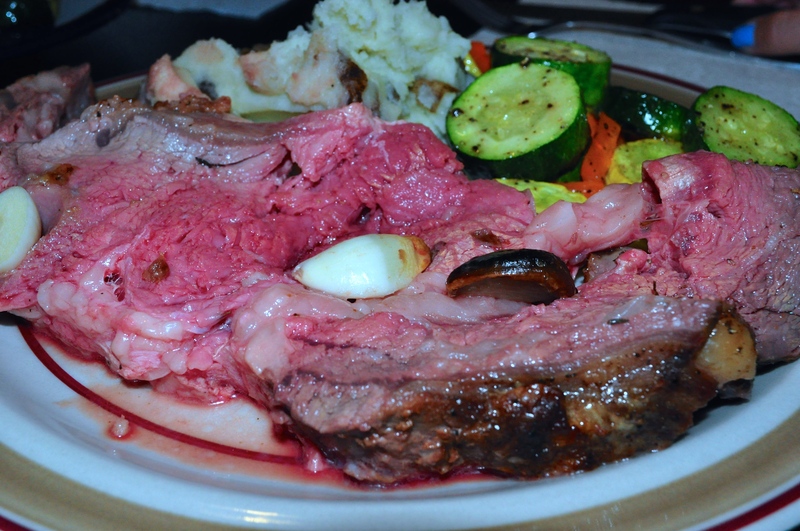 So we had the prime rib and served it with garlic mashed potatoes and roasted vegetables (squash, carrots, and zucchini). The roasted veggies were just cut, drizzled with olive oil, seasoned with salt and pepper, and baked alongside the prime rib at 325 degrees for about 25 minutes. 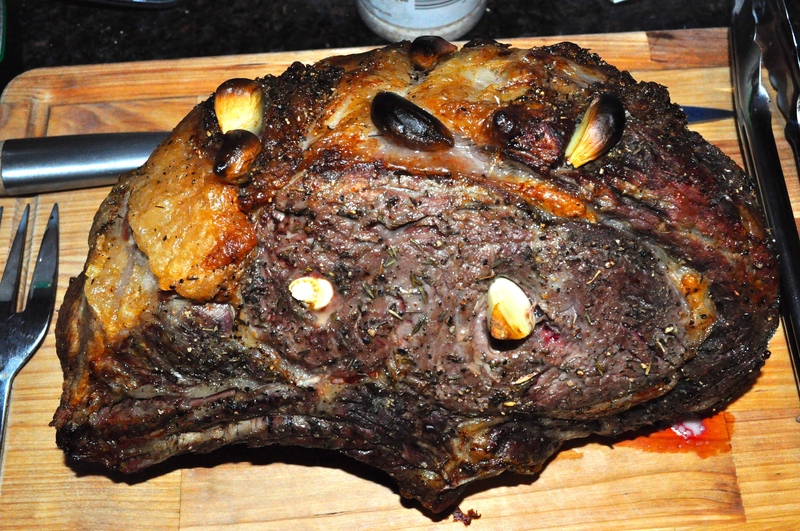 Prime rib doesn’t have to just be for special occasions, when it’s this easy to make. Enjoy!